Also called metallic glasses, these materials are very similar to traditional metals but exhibit extreme properties coupled with outstanding forming ability. Currently, very few products using amorphous metals are available, and most of them are based on a very limited range of compositions. Those compositions are mainly chosen to facilitate their forming and not for their final properties, which is highly limiting industrial opportunities. VULKAM offers the widest range of amorphous metals and thus the widest range of final properties on the market. VULKAM offers a complete solution from the choice of the optimized composition needed for your application to the manufacture of final parts. Customer needs are precisely defined. Compositions are preselected and suggested by VULKAM to best meet your needs. Simple parts are first manufactured with preselected amorphous metals and are evaluated by the customer. The tests results lead to the optimization of the composition and the selection of the best amorphous metal solution. Lastly, molded prototypes with the final geometry validate the material in real conditions. VULKAM’s production line will enable mass production of molded parts, with unique geometry and properties. To obtain the final part, a final degating step is required to remove gates and runners. VULKAM has already developed different amorphous metals based on Zirconium, Copper, Titanium… They satisfy several needs in terms of mechanical resistance, amagnetism, corrosion resistance, biocompatibity… Obviously, we are committed to find the best amorphous metal for your application. VULKAM has developed a patented amorphous metal preparation process. Several approved raw material suppliers make it possible to produce custom-made amorphous metals. We are able to mold sub-millimetric to centimetric amorphous metal parts of simple shapes. For more complex geometries, the use of a dedicated mold becomes essential. 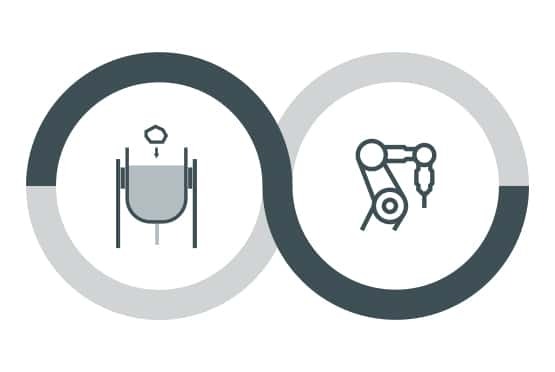 For the manufacture of specific parts, VULKAM works alongside its customers’ teams to adapt the design according to both customer needs and process capabilities. A numerical simulation code specific to amorphous metals has been developed in-house in order to validate the mold filling and optimize the design. Amorphous metals are the only metallic materials that can achieve both the same precision as machining and mirror surface by a molding process. VULKAM’s patented molding machine enables the production of amorphous metal parts that are unique worldwide. The technology developed by VULKAM is the result of several years of research within the SIMAP laboratory. The laboratory remains an essential partner. The CEMAM “laboratory of excellence” is a long-standing support of VULKAM’s developments. VULKAM is proud to be part of the 2017 winner of the Entrepreneurship Network, the greatest network of entrepreneurs. Vulkam was incubated within Linksium’s accelerator as a research project from the Grenoble laboratories. 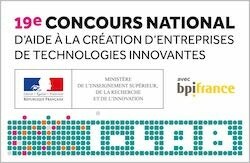 VULKAM is one of the few elected representatives that won the French competition to support innovative technology companies. This award allows us to accelerate our development and represents a label we are proud of. 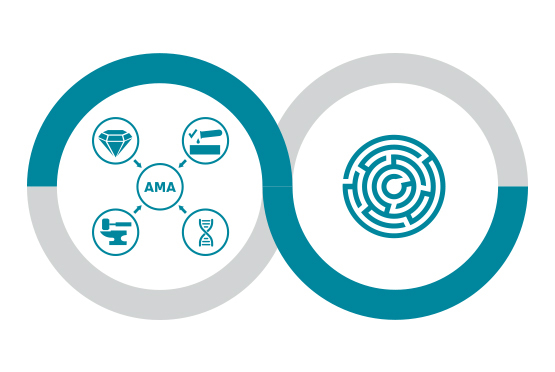 Vulkam has initiated a collaboration with ANTHOGYR (dental implant specialist) on the development of innovative solutions in amorphous metals. Sofradir (world leader in infrared detectors) is a long-standing partner. VULKAM’s amorphous metals are about to be integrated into the systems developed by Sofradir with significant performance improvements.